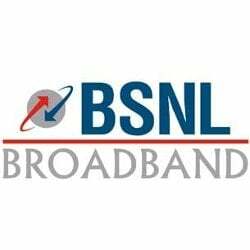 India’s largest broadband service provider Bharat Sanchar Nigam Ltd (BSNL) today increased broadband monthly rental in its limited usage plans across all circles. The fixed monthly charge for limited usage broadband plans has been increased however there will be no changes in Unlimited Broadband plans. The monthly rental will be increase between Rs.24 and Rs.350 depending on the tariff plans. BSNL has revises fixed monthly Charges (FMC) for existing 7 Home & Business Limited Usage Broadband Plans namely – BBG 250, BBG FN Combo 600, BBG Speed Combo 2799, BBG Super Speed Combo 3699 VDSL, BBG Super Speed Combo 4999, BBG Super Speed Combo 6999, along with an PCO plan(BB PCO 400). Now Rs.250 plan will cost Rs.275, Rs.600 plan will get revised to Rs.630 while, the Rs.400 plan will cost Rs.424, Rs.2799 and Rs.3699 plans will be dearer by Rs.200 a month. 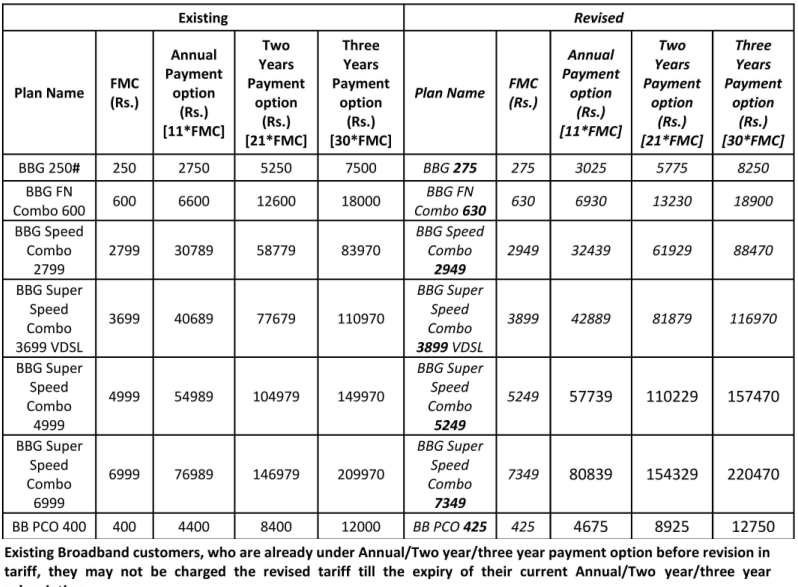 This new revised tariff for all above limited usage broadband plans has been implemented with effect from today i.e. 1st March, 2014 in all the BSNL circles.